AFTER some interesting results in February, the Hawks will have two senior and two junior sides playing finals, with one of the three veteran sides also making finals. The First XI has finished a game and percentage outside the finals. The ladder demonstrates that bowling is less of a concern than batting – the least number of runs scored in the grade, but fourth highest wickets taken (just four behind the top team) and second-lowest runs conceded. Josh Barrett has scored 341 runs at an average of 37.89 (highest score 98no in Round 1), with the next best batting averages in the low 20s. Six bowlers have averages less than 20 – Steve Lindsay leading the way with 26 wickets at 12.35. In A Grade, the Second XI finished third, and at home in the first week of finals against Chirnside Park. Again the contrast between batting and bowling is noteworthy in that only the bottom team has scored fewer runs, but only the top team has taken more wickets, and no team has conceded less runs. The Third XI finished in fifth place – just a half game outside the four. The batting was reasonable. If anything, the team was simply unable to take enough wickets to win enough of the close matches. A team receiving a forfeit receives the maximum points awarded in that grade in that round. Mooroolbark received a forfeit in the last roundof F Grade. As third-placed Boronia achieved an outright win (12 points instead of 8 for a first-innings win), Mooroolbark went ahead of our Fourths who had been on top for most of the season. For the second successive season, the Fourths play against Mooroolbark for the right to play in the grand final, but this time away. The Fifth XI played second-placed South Croydon in Round 13, and was on track for an upset win when it had the visitors 8/213 chasing 290, but was unable to break the partnership until the target was passed. Injuries to two players meant fielding one short during the second day, which did not help matters. In the last round, top side Ainslie Park then cruised to victory. The U16-2s remain on top of the ladder, and will play their home final at Colman Park. Nick Condon scored 103no in the latest match, and sits on an average of 59. Darcy Harris has 15 wickets at 9.53 (including a 6/13) and Nikoda Brooking 14 wickets at 10.36. The U14-3s (combined with North Ringwood) lie second, and will most likely be granted permission by Park Orchards CC to play their home final at Domeney Reserve. Darcy Church has 169 runs at 33.8 (Highest score 54no). Nick Walker has 16 wickets at 2.94 (best 4/3). In U12-1s, Nick Walker has 130 runs at 21.7 (HS 47no) to go with his nine wickets at 5.56. Kane Church has 60 runs at 15.0 (HS 27no) and 4 wicketsat 12.0 in U12-4s. The O40-4 side played a semi-final at Silcock Reserve – the club’s first Over 40s Second XI to reach finals. After strolling to a respectable 2/41, the side collapsed to 7/46 before stumbling to 60 all out. In reply, Croydon Ranges took just nine overs to reach 1/75. The Over 40s is a growth area for the club, and there are hopes for a third team next season. By contrast, numbers in the O50s are declining as members enter their 60s and retire, while the O40s, who reach their 50s, remain in the younger teams. Andrew Walker did his usual great job organizing and running Pink Stumps Day on February 15 (diversifying from his regular role as junior co-ordinator). The timing was fortunate, with the temperature a mild 29°C compared with the 41°C of the previous Saturday. The Trivia Night on February 22 was another success, thanks to the organisation of Vee Williams and Meagan Price, with the help of their families setting up and packing up and on the night. Twelve tables competed, and the Fifths table, led by the evergreen “Molly” Sweeney, won by a single point from two other tables. 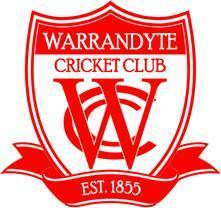 Remaining activities for the season include Junior Presentation Night on Friday March 28, senior presentation night on Saturday, April 5, at the Manhattan, and the Annual General Meeting in May (date to be confirmed).